An attention-getting flow patterns the face of a sand deposit near the river. 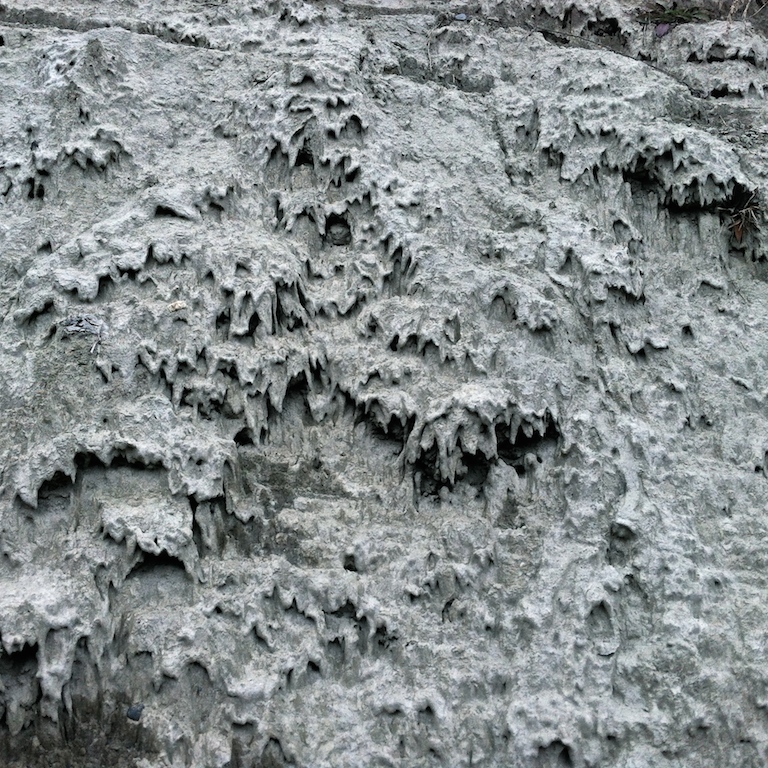 Very fine silty particles, perhaps with a bit of clay, form drips and cascades across the exposed bank in a textured display of static motion. 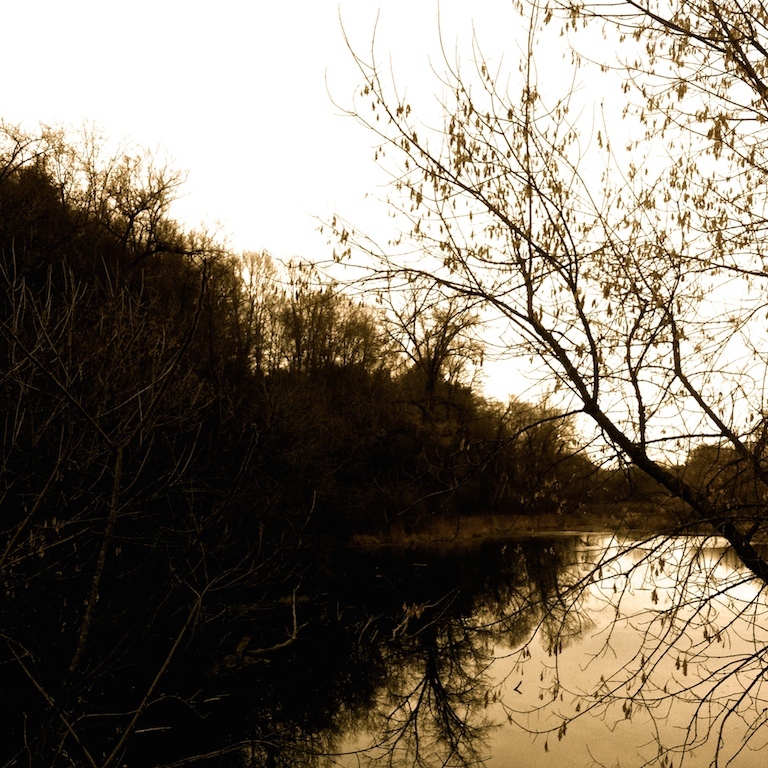 Dusk settles over a beaver pond alongside River Road near the Great Meadow. 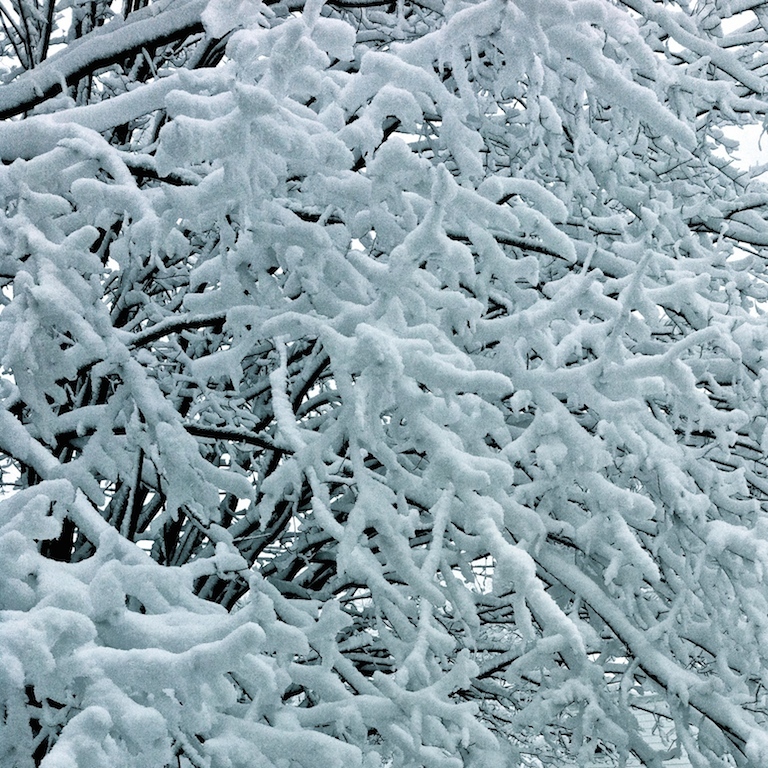 A thick white coat has muffled the world outside the door. 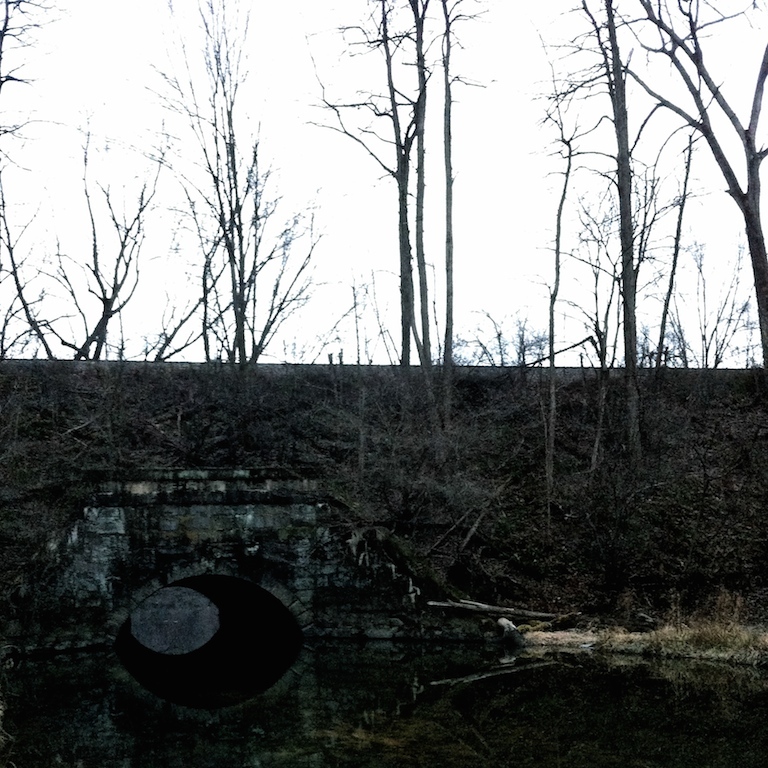 The stone arch over the flat water of Sackett’s Brook carries the Connecticut River Line over a desolate marsh, isolated from the village of Putney by time and change. Built around 1850 for the Vermont Valley Railroad, later the Boston and Maine and now the New England Central, this quiet span lies north of Kathan’s Ferry and the former depot. 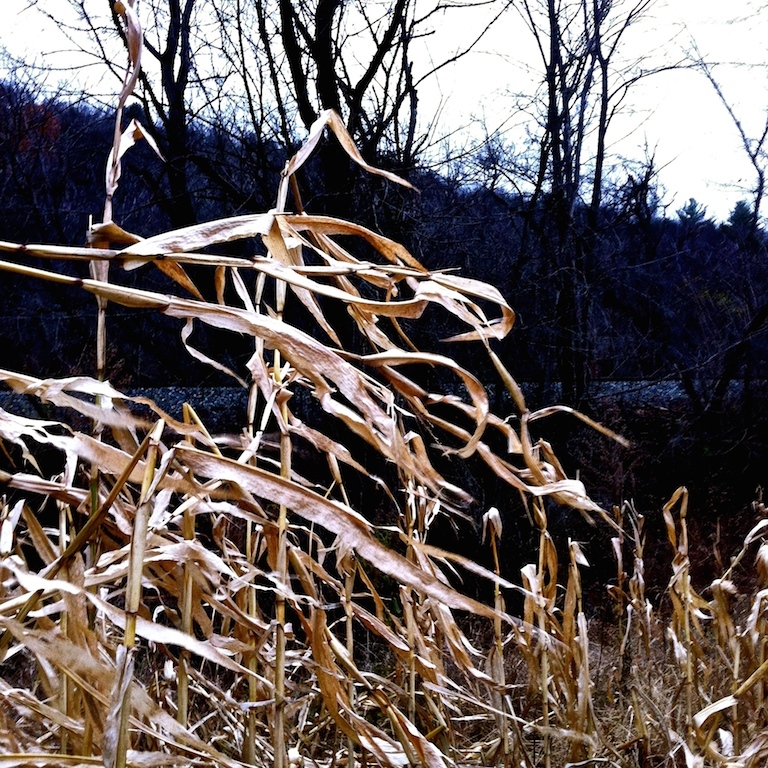 The grays and browns of November cloak the fields as winter draws nigh. These meadows were farmed by the native people for hundreds of years before the English ventured up the river from Connecticut and Massachusetts nearly three centuries ago. 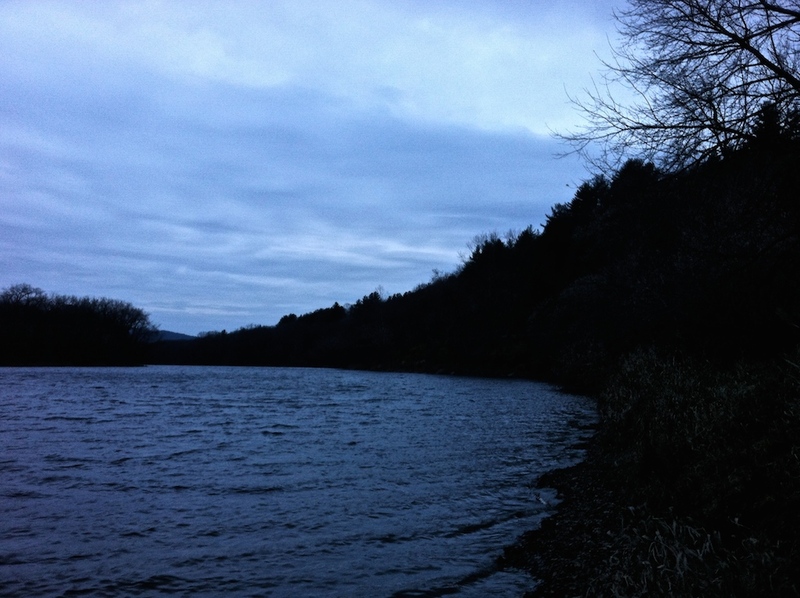 The Connecticut River makes a wide bend around the Great Meadows at twilight in late November. 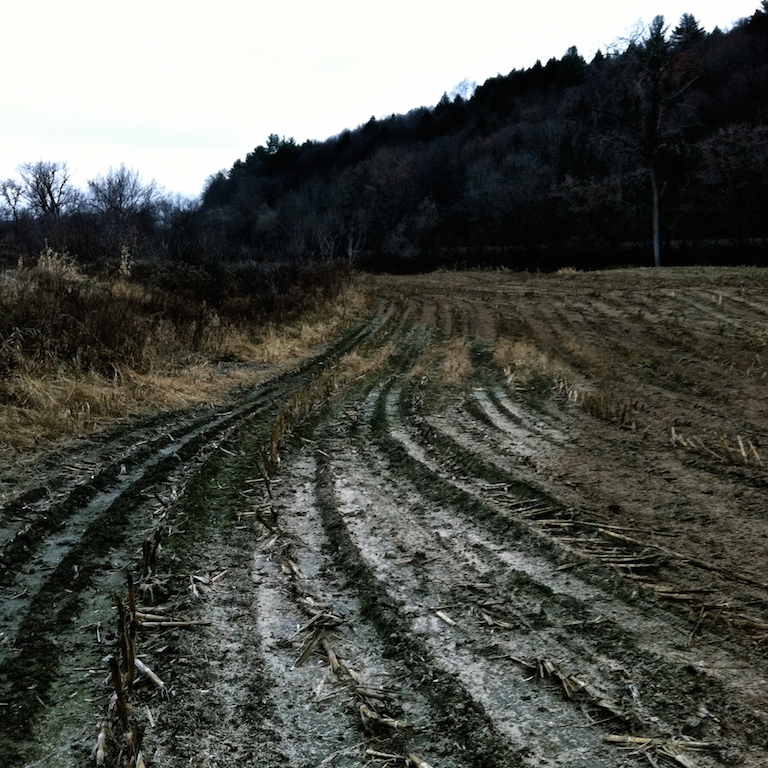 The last few rows of unharvested corn at the margin of an empty field rattle in the wind. Leaving the Great Meadows in East Putney, Vermont after a solitary hike in mid-November. 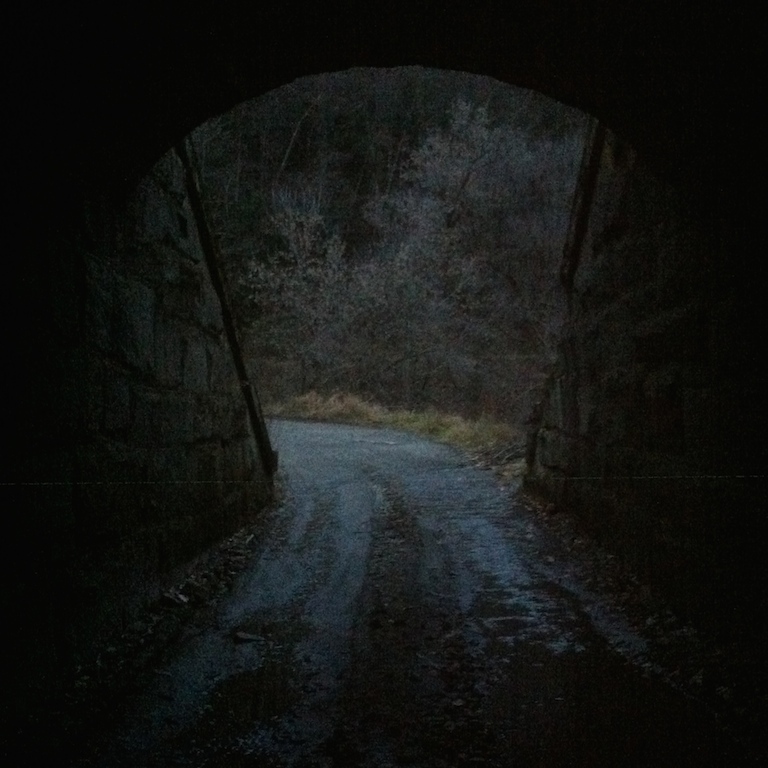 The only access is by a farm road through the 160-year-old stone railroad underpass into another, older world. 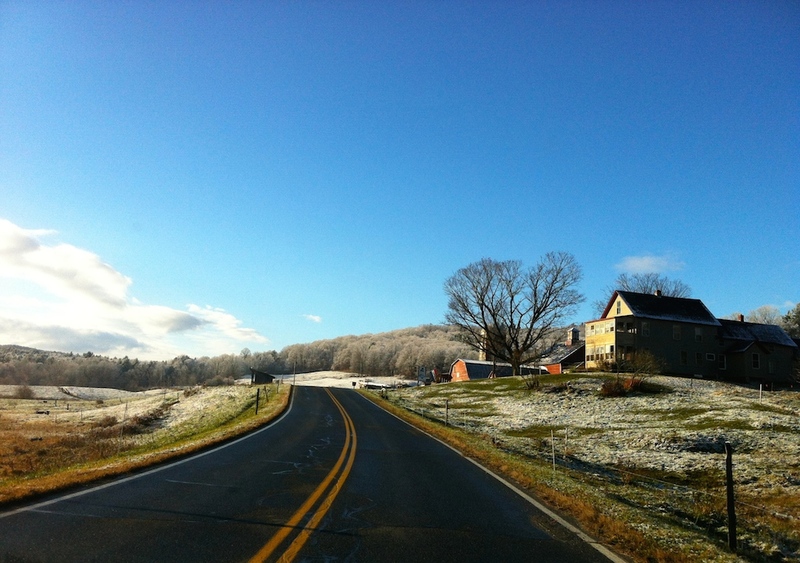 The first hint of winter powdered the hilltops of Guilford, Vermont last week.